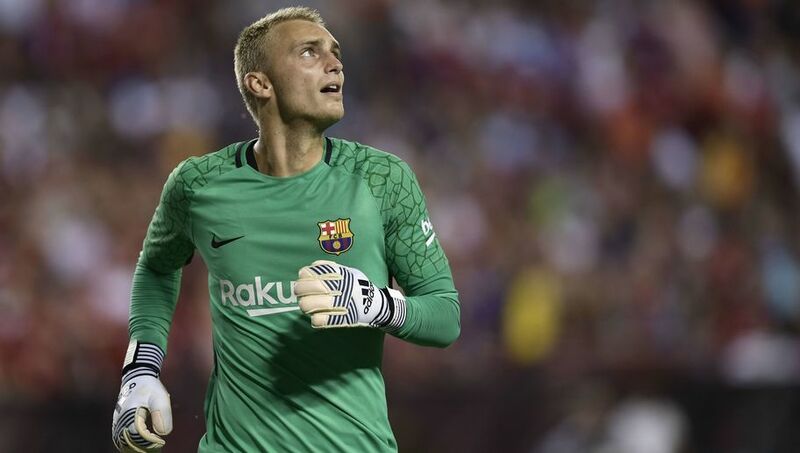 Arsenal – according to a report published by Catalan outlet Deportivo Mundo – are supposedly in the race for FC Barcelona’s Jasper Cillessen, although it’s said that they will also face notable competition from Premier League rivals Chelsea, Manchester United and Manchester City for his disregarded services between the sticks. German Bundesliga giants FC Bayern Munich are allegedly the front runners in the pursuit for the Dutch stopper’s signature, however with the magnitude of interest arising from elsewhere in Europe, the Bavarian’s will be wary of the financial power within the English club’s deep pockets. Bayern’s goalkeeping ranks have been stricken by the absence of Manuel Neuer, who is nursing a long-term injury, and it’s believed that Jupp Heynckes initially targeted Barca’s first choice keeper Marc-Andre ter Stegen, however it’s believed that his respective €170m release clause is too lofty to consider. Cillessen, who plays second fiddle to ter Stegen, has a much more modest release clause of €60m – which roughly equates to £53m – included within his current contract at La Liga’s Blaugrana, a shallow figure in comparison which has supposedly alerted the Gunners’ attention. A conundrum has plagued Arsenal this term in the goalie department as Petr Cech, 36, has not performed to his usually sturdy, trusted stature this term, meaning that Arsene Wenger could be swayed to acquire a fresher face in Cillessen in the summer. The former Ajax keeper is 28-years-old and still evidently has time on his side, and though many may disagree somewhat, it’s accurate that a man with gloves on lasts longer than a man without in footballing terms, so the north-Londoners, if they were indeed to lodge a bid, would be wise to invest as a contingency plan for the future is vital to a club’s eventual progression. Share the post "Arsenal amongst a host of Premier League giants in race for Dutch stopper"